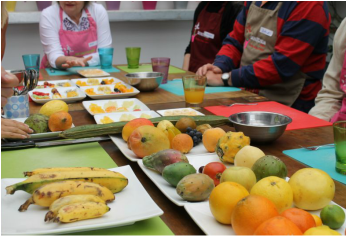 The fruit tasting starts at 10:10am or 3:10pm right before the lunch and dinner classes. For people who cannot or don't want to do our morning market tour, but still want to taste all the fruits from the market. 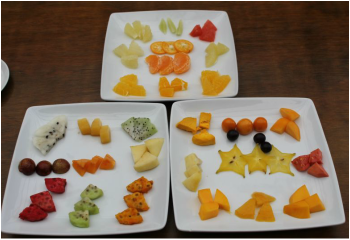 Tasting of around 35 exotic fruits from Peru. Dishes might be subject to change without notice due to unavailability of certain ingredients.